A luxurious medium-to-full-coverage lipstick that gives lips the ultimate in color, texture, and finish. This cream formula envelops lips in rich color with a semi-lustrous finish that lasts six to eight hours. The cushiony, lightweight texture feels comfortable, while pure olive oil and vitamin E nourish lips. Color glides evenly onto lips without skipping, dragging, feathering, or setting into fine lines. You'll have the appearance of visibly fuller- and younger-looking lips in just one swipe. 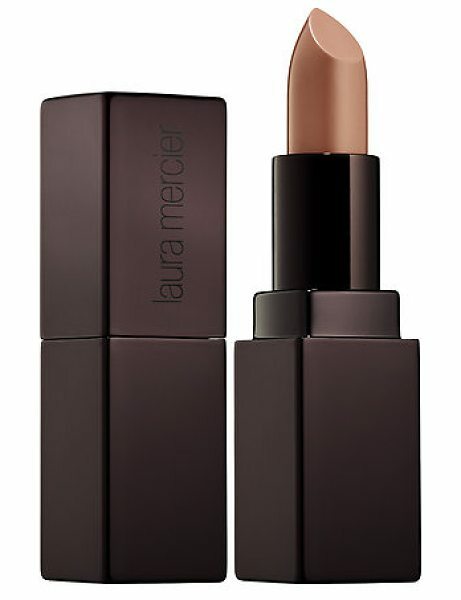 This lipstick features an elegant, modern case with a metalized finish. This fragrance-free formula is dermatologist- and allergy-tested to minimize the risk of allergy and irritation. Beauty Tip: Use lip liner as a finishing touch to create and mix your own unique lip color.